“My god.! ” exclaimed our coach. That was our second wicket falling in as many balls. We were in the finals of Wilson’s cup and it was my last ever match playing for our college. We needed two runs of the last three balls. With ten wickets in hand, we were looking good to romp home the victory. All of a sudden this twist in the tale had arrived. 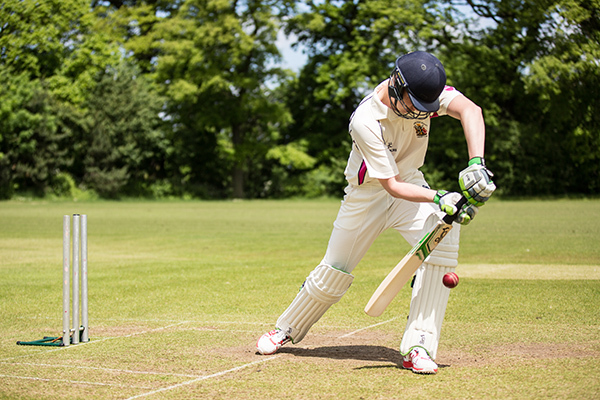 Vincent’s bowler had bowled two successive deadly yorkers to which our batsmen had succumbed. The dug out saw a sudden drop in energy! In conditions similar to this, I was always the rescuer. Star batsman of my team that I was, the team had always seen me as a safe bet. Even before the coach could turn to me, I rose from the seat and picked up the bat. Since it was my last match, I received a guard of honor from my team while walking into the pitch. I rubbed my glove against the pitch, kissed my bat and took the guard. I was emotional. A handful of the college crowd had already started chanting ‘Sixer.. Sidhu …Sixer..sidhu..!”. I was known for hitting winning sixes and hence the nickname. I was not very fond of it, yet I had to rise my bat and acknowledge the cheer. The bowler took his run up and I started scouting for right areas to hit the six. A full length delivery- I would hit him with a front foot loft or a slog sweep, a bouncer- I would hook it, a short ball and I would pull him, a wider short ball and I would slice it to the third man area; calculations had begun. Chants got intense, and the bowler approached the wicket. It was five seconds before he released the ball and a crazy thought crossed my mind- how about a tied match? A friend of my cousin had done it during his college days and it sounded fun whenever he narrated it with all zeal and zest. An Empty mind is a Devil’s workshop and mine was its playground.Without a second thought I decided to play a single. The bowler released the ball and I tapped it towards the mid-on or at least I thought so. To my dismay, the ball took the top edge and flew high in the air, only to rest safely in the wicket keeper’s gloves. The opponents erupted in joy and there was a wild celebration around me. I could see my pavilion from a distance and the disappointment that had made a nest in the dugout. I couldn’t gather courage to walk back to the pavilion and silently walked in the other direction that lead to the exit gate of the ground. The problem with the feel of being a loser and being in the middle of a celebrating crowd at the same time is that, you start getting a feel that every joke, every laugh and every act of mockery is directed towards you. It’s like a bad dancer dancing in the middle of a dance party. He feels that everyone is laughing at him, but he fails to understand that everyone is busy with their own merry making ways that they hardly notice him. In spite of being in possession of this wonderful gyaan, I still felt that the rival team was laughing at me. The three minute walk on my way out of the ground was a tough ordeal. I assumed that my teammates would be waiting for me to discuss the logic behind the defensive shot of the last ball. I could come up with n number of reasons in my defense and could have easily proved my innocence, but the guilt was haunting me. I stuck to my decision of not walking up to them. I switched off my cellphone and pulled my car out of the parking area and drove towards the Wilmer’s road. By the time I walked out of ‘Sleepwalk’ pub it was around 8 in the evening. I was considerably high and didn’t want to be in the middle of a thick, drunk and dancing crowd. Three hours of constant drinking had managed to bring my upset mind to rest. I was yet to walk towards the car pool; it was then that I saw her. Yes, the lady with the glasses, the same lady from Vincent’s who had embarrassed me in front of my juniors during their fest. I thought hard to recall her name but the alcohol had done its temporary damage to my brain and I found it hard to put it to work. However, I swore to god that I would settle the case then and there. But, the sensible part of me felt that I shouldn’t be doing so, when under the influence of liquor. To pick up a fight with a girl is already an act of shame, so the case of being intoxicated should not make any difference- I felt. It didn’t take me minutes to realize that all that I really wanted was a way to talk to her. Fight was just an excuse. There was something attractive about this girl. Was it her looks, or those dark framed glasses, silky short hair, attitude or those dimpled cheeks? I was confused. While I was in the middle of my muted debate, I saw her walking into a book store. I put my silent discussions to rest and decided to follow her. After all, I was yet to figure out if it was the same girl. I entered the book shop. It was a big book store and with variety of cats in all shape, size and colors performing catwalk all over the store. I had never seen a shop like that. Amidst the hundred rows of shelves and sizeable crowd, it took me minutes to find her. I stealthily approached the shelf next to her and stood in a place where she couldn’t spot me. She was wearing a green kurti with a pencil looking stick sitting prettily on top of loosely tied hair. I couldn’t catch a good glimpse of her from where I stood, but I could see her eye frames. She was going through the book ‘A journey through the catastrophic middle earth’, while holding two other books. The thickness of these non-fictions that she held and the amount of concentration that was seen dancing on her face gave me an estimate of her intellect. She had intellectual looks and a serious attitude; and there’s no better glamor than that. “Yes sir, may I help you?” all of a sudden a customer assistant spoke in his squeaky voice and lady in glasses moved few steps before turning towards me. I didn’t know what to do and grabbed a book next to me. I quickly pulled out a list of reactions that I could give. It was important to act before she suspects that I was following her. I could say ‘Hey.. good to see you.!’. Even though it was my true emotion it might sound too artificial. ‘I was not following you..!’. But she is yet to accuse me of doing so. ‘What a coincidence..!’, an absolute wrong choice. I was yet to react and she looked back into her book. There wasn’t even an ounce of sense of recognition. She had failed to recognize me.! I had to remind myself that I wasn’t a Bollywood hero or a guy with great looks for her to remember my face! One more reason could also be the fact that we were under dull light when we had that fight in the college fest. I cursed myself for burning my grey cells into needless thinking. I was yet to recall her name. 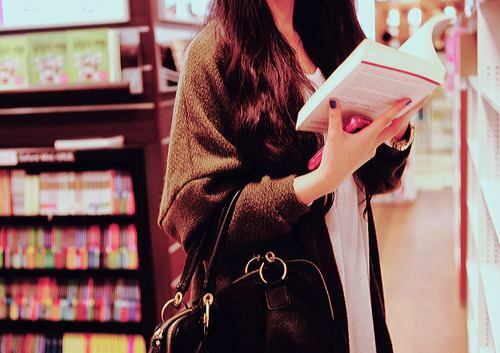 She lifted her head from the book and started walking towards the billing counter. I quickly grabbed a copy of the same book –‘A journey through the catastrophic middle earth’, rushed towards the bill counter and stood behind her. “Can you get this one gift wrapped?” said she after doing her payment. She then looked at me and I was yet see that ‘Hey I know you!’ expression in her eyes. I decided to do make the first move. “Oh.. Even you have bought the same book! This author’s gonna be rich overnight!, I tell you. !”, I said in an attempt to sound funny. My ugly chuckle had surely spoiled the joke. She half smiled. I could understand that she wasn’t impressed with my sense of humor, but how on the earth couldn’t she remember me.! Cashier directed her towards the gift wrapping counter and I raced towards the same after paying for my book. I had to know her name. I knew that I could find it out from ‘Best Wishes’ label that would be pasted on the gift. To my disappointment, she didn’t ask for one and I was compelled to prompt her- in an indirect manner. “Hi, I would like this gift wrapped. And Yes, it would be really great if you could hand me out a best wishes label” I grinned at the man in the counter. I made sure that I was heard in the radius of 100 meters. I knew that my trick had worked when she turned and asked the man for a gift label. She collected the label and looked at me again; I widened my cheeks and extended my grin. She frowned and started writing on the label. She paused and looked at me. “Do we know each other?” she asked. Yes lady, we do. I swallowed my words. “Call it a coincidence. Even I was about to say that. Your face looks familiar”, I tried to put a cool dude attitude. She smiled and the next moment the frown reappeared between her eyebrows. Her memory had played its part and she remembered who I was. She didn’t speak, but left the place in hurry. Was it because she knew that I was drunk, I pondered. I looked at the counter and found the label that she’d left there. God..!! Yes.. Now I remembered Anahita Bannerjee.. that’s her name, I pumped my fist in joy and raced towards the exit. “Anahita”, I called her name. Like an athlete in the last lap of the race, she shifted her gears, walking more briskly towards the parking arena. I knew that this act of mine would be labelled as ‘indecent’, but I refused to give up. I jogged for about ten seconds and called her name again. “Anahita Banerjee”. Surname always makes it sound respectful. “Don’t” she said in a suppressed tone after stopping and turning back at me. With those pair of intense eyes, straight face and forefinger pointing at me, she was looking scary. I stood motionless while I watched her walk a couple of steps to reach out to her scooty. She pulled out her keys and tried opening the side deck. In the process, neatly wrapped novels fell out of the gift bag. When she tried to prevent them from falling, she dropped her bag, mobile and then her wallet- They all fell like toppling dominos. I kicked out the ‘a’ and turned a theist. Faith in god had grown leaps and bounds in those five seconds. ‘God. Thank you for this lovely filmy moment!’, I silently thanked him. I wanted to help her pick her things like we see in movies. That’s how it works. When both bend down to pick up stuff, their heads collide. Then there will be this ‘your eyes meet mine’ moment and then comes the chemistry which no text book has ever tried explaining. With all hopes of seizing the opportunity, I quickly rushed to her. I had hardly moved inches when she gave me that second look with those same pair of intense eyes. ‘Don’t even try’ – I think it meant. Like a driver obediently waiting for the signal to go green, I just stood there – until she picked her stuff, started her bike and disappeared from my sight. !